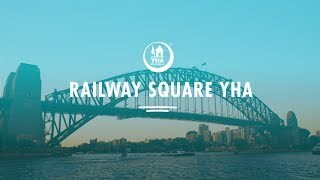 Sydney's funkiest hostel, Railway Square, adjoins Central Station and is in the heart of Sydney's backpacker district. For something different, stay in one of the specially fitted-out railway carriages on the former Platform Zero. Or try one of the rooms in the historic 1904 main building, now converted into contemporary modern accommodation. Facilities include: spa pool, free Wi-Fi hot spot for guests, premium Wi-Fi Plus, 24 hour access, tour desk, indoor and outdoor communal areas, and a self catering kitchen. Join in on the activities and entertainment program. Walk to nearby pubs, Chinatown and Darling Harbour.